This last weekend my daughters had a school dance to go to. with the theme of "Night at the Movies". 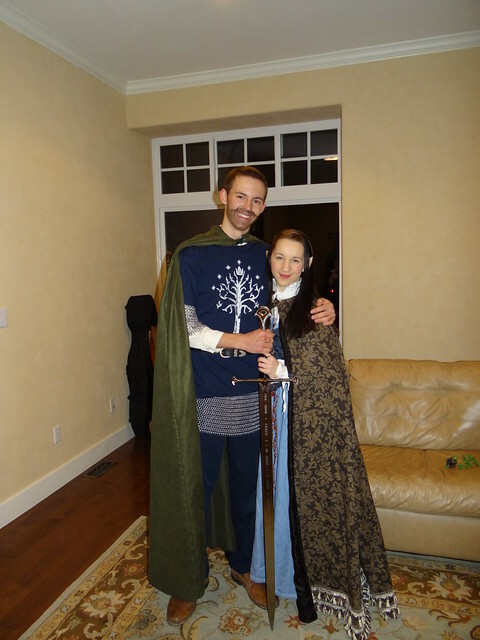 They were supposed to go as their favorite either actor/actress or their favorite character. 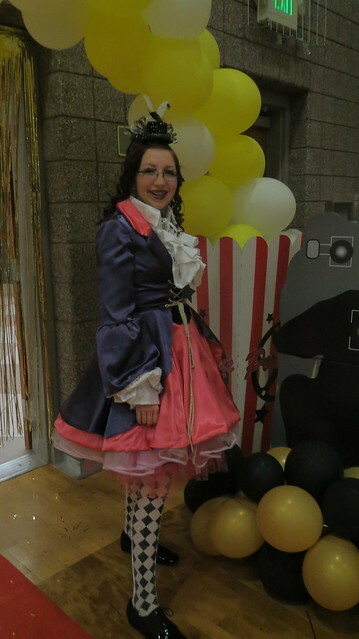 My Middle daughter went as the Mad hatter's Daughter Madeline Hatter. 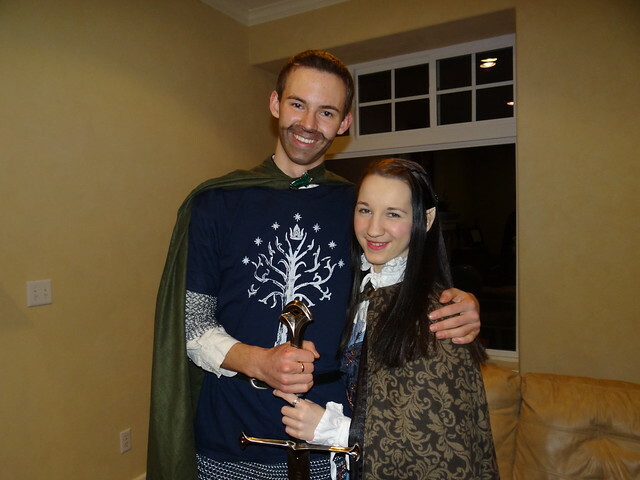 The oldest went as Arwin and her date as Aragorn. Yes I made both of the girls costumes. 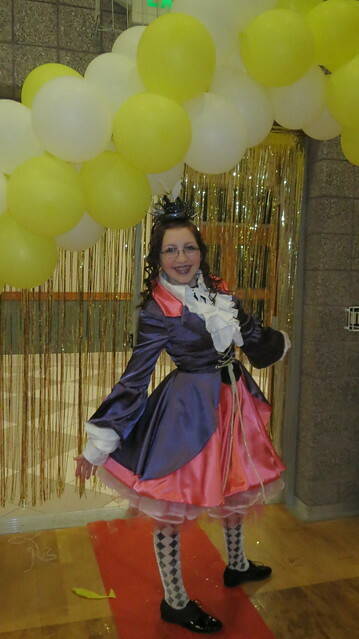 The Mad Hatter one I made the day of the dance. 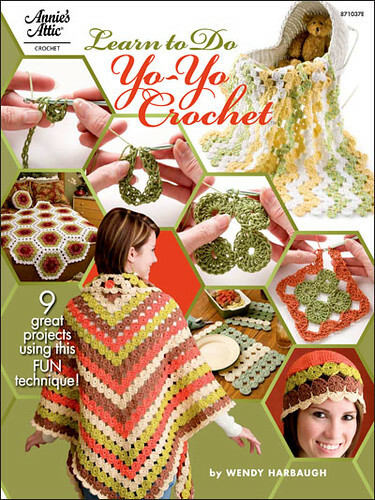 I started at 2 am and kept sewing till 4pm with a 1 hour break to eat and run an errand in the middle of the day. 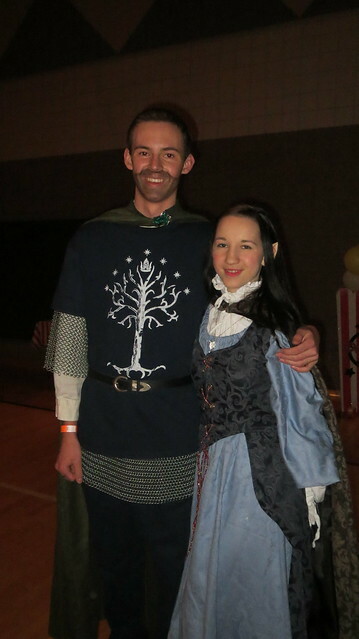 My oldest daughters costume I made last year for a school celebration they had when they finished reading the Lord of the Rings they had a Hobbit Feast. I have actually made 7 costumes from scratch on Thursday and Friday of last week. Three Pride and Prejudice style ones for a school celebration one blue one, one red, and one golden yellow. Three black Greek ones for another daughters Olympic celebration at school (those only took one hour all together as I have made that pattern so much I have it memorized I used that same pattern when I did the play " Joseph and the Amazing Technicolor Dream coat) and this Mad Hatter one for a school dance. 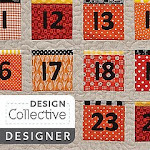 I made another one a week earlier for a David Copperfield celebration but I did not get too many photos of that one. My kids school loves to have celebrations when they have finished reading a book. Costumes usually = extra credit in the class so lots of kids have lots of costumes at this school. At the dance my middle daughter got second place for her costume. At the end of the dance she found out she actually got first but they gave the prize to the wrong girl. My daughter is a good sport so she said let the girl keep the movie tickets. She was just excited to tell me that the costume I made had won a first prize even if she did not get it. Then she asked if I could take her to the movies to see Frozen (yes we have not seen it yet) just her and me so she could still get her prize. I said sure as we have a pass that gets us into a movie a day for free for an entire year thus the reason she did not care about the tickets. For us it is more of trying to find the time to go to the movie that is the issue. 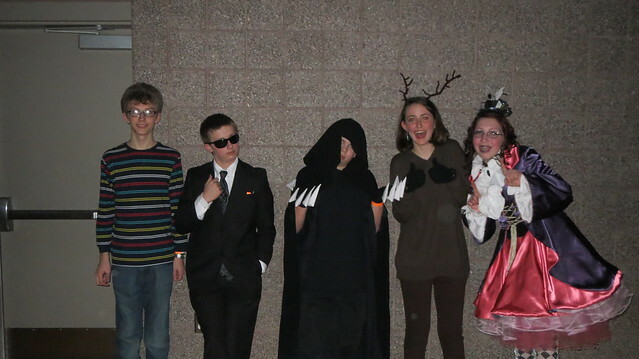 I do plan on posting the other costumes I made this last week just have to get them uploaded to flicker so I can. This is my middle daughter and a group of her friends. 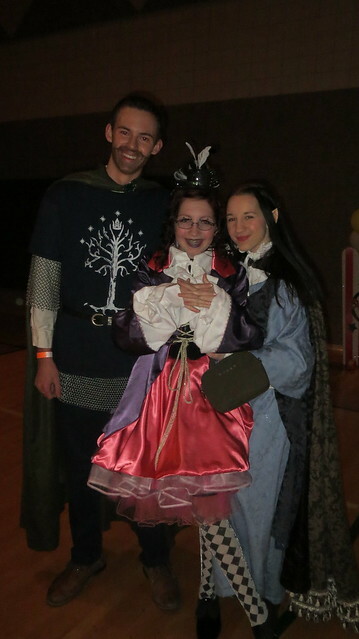 This is my oldest daughter and the other Lord of the Rings characters that were at the dance and a photo bomb from another friend.